Can Leicester City claim the 2016 EPL title in Week 36? Many thought these most unlikely upstarts would have long fizzled and flopped by now, but Leicester City will be crowned 2015-16 Premier League champions if they win at Old Trafford this weekend. 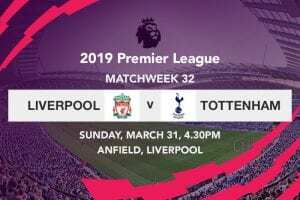 They can thank West Bromwich Albion, who held Tottenham Hotspur to a 1-1 draw on Monday to ensure the Foxes will take a seven-point lead into the final three weeks of the season. Spurs now need to win each of their remaining games to have any shot at the title, while Arsenal and Manchester City, both five points back, could yet kick them out of second spot. It’s also a big week for Norwich City, Newcastle United and Sunderland, with only a single point separating the three relegation battlers after both the Mackems and the Magpies secured vital results last weekend. 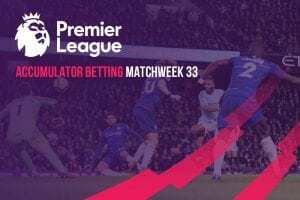 Here are the top picks and value bets for week 36 of Premier League 2015-16, with markets provided by Sportsbet.com.au – one of Australia’s most trusted EPL betting sites. Even with Jamie Vardy out suspended, Leicester put on a true champions’ performance in their 4-0 demolition of Swansea City. The Swans’ back line was no match for the pace and trickery of Jeff Schlupp, Demarai Gray and Riyad Mahrez, who was recently crowned the PFA Players’ Player of the Year. Claudio Ranieri’s men are unbeaten in nine games, of which they have won seven. Man United were on FA Cup duty last weekend at Wembley, where Anthony Martial’s injury-time winner against Everton set up a date with Crystal Palace in the final. That made it three wins on the bounce in all competitions for Louis van Gaal’s charges, who are five points out of the top four with a game in hand. Since Leicester’s return to the Premier League, this fixture has produced one win, one loss and one draw for each side. Neutrals might hope for a repeat of their eight-goal thriller in 2014, when the Foxes twice came from two goals down to win 5-3. The Gunners have shown no form against the Premier League’s cellar dwellers of late. Having drawn with Crystal Palace at home the week prior, Arsene Wenger’s men were held goalless by Sunderland as they watched their already-faint title hopes vanish into the ether. It’s all about Champions League qualification now, but they need to put points on the board as Man United, West Ham and Liverpool are circling with games in hand. Norwich have returned to the drop zone after back-to-back losses against Palace and Sunderland. They didn’t play last weekend, however, which gives them a game up their sleeves on 19th-placed Newcastle. Canaries boss Alex Neil was roundly criticised for benching Nathan Redmond against the Black Cats, so it will be interesting to see if he sends out a more aggressive lineup at the Emirates. Arsenal could only manage a point when they visited Carrow Road back in November, but they have never lost to Norwich at the Emirates. The East Anglians haven’t beaten the Gunners on the road at all since 1992. The Toon scrambled from two goals down at the break to claim a crucial point last week at Anfield – one of their unhappiest Premier League hunting grounds. 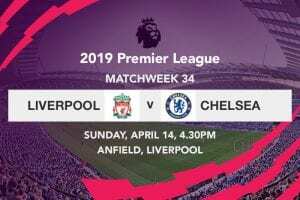 They are still second from bottom, but a result at home would give Rafa Benitez’s men a real chance to dodge what only a few weeks ago seemed an inevitable relegation. They may be through to the FA Cup final, but Palace want this EPL season to end. After a promising start where they enjoyed an extended spell in the top six, the Londoners have fashioned only a single victory since Christmas. A grand total of 13 goals scored in their last 19 league games says it all. The Eagles will take confidence from their most recent encounter against Newcastle, which ended 5-1 in favour of Alan Pardew’s side. That was Palace’s first win over the Geordies since 1998. A wretched run of form has put Stoke out of the running for European qualification, so they have little to play for over these last few weeks. The Potters have copped a hat-trick of thrashings, conceding four goals in each of their matches against Liverpool, Spurs and Man City. And as if Stoke boss Mark Hughes didn’t have problems enough already, Ibrahim Afellay will miss the rest of 2016 after tearing his ACL. For Sunderland, the goal is simple: points, points and more points. They have looked by far the most reliable of the relegation stragglers in recent months, losing only one of their last seven Premier League matches. As Norwich didn’t play last weekend, the draw with Arsenal was enough to lift the Black Cats out of the bottom three for the time being. Recent history bodes well for Sunderland, who have won three of their previous four EPL clashes with Stoke. The Mackems won 2-0 when these two met at the Stadium of Light earlier this season, with late goals from Patrick van Aanholt and Duncan Watmore.